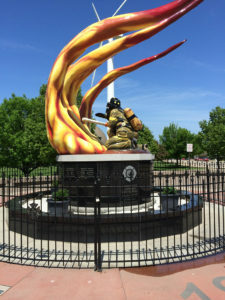 The Cleveland Fire Fighters Memorial Fund (CFFMF) is a 501 (c) (3) non-profit organization registered with the Ohio Secretary of State and the IRS. 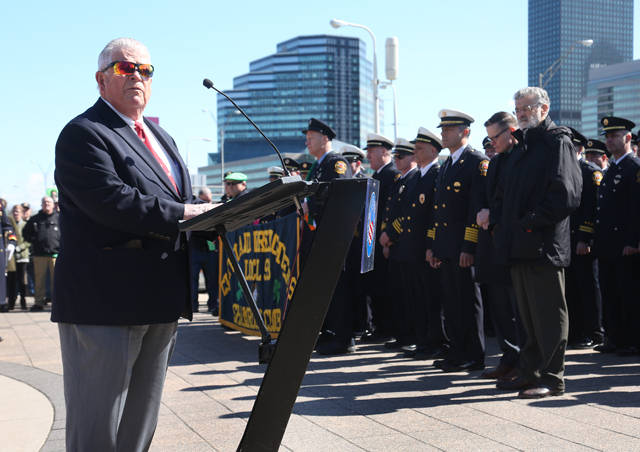 We were incorporated in 1993 with the sole purpose of building a memorial to honor the 77 brave Cleveland Fire Fighters who gave their lives in the line of duty. 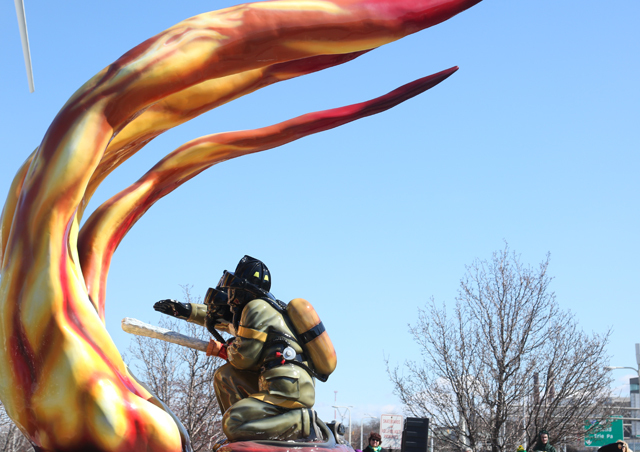 In 2007 we dedicated the memorial, a colorful fiberglass statue of two fire fighters putting out large flames created by nationally acclaimed sculptor Luis Jimenez. 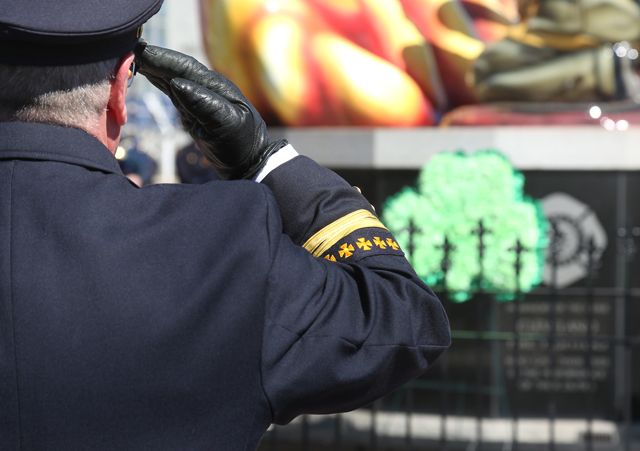 The names of the 77 fire fighters who made the ultimate sacrifice are engraved in the granite base under the statue. 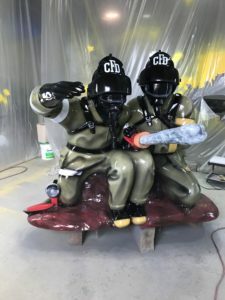 In the past year the two fiberglass fire fighters have exhibited some structural flaws. We have contracted with ICA-Art Conservation, a Cleveland company, to repair the damage. The estimated cost of the repairs will be $50,000. Anyone interested in contributing to the CFFMF repair fund please click the link button above to donate. Contributions can be made by credit card through PayPal or by sending check or money order. All donations are tax deductible. For more information about our fund raising efforts please read the June 13, 2017, Cleveland Plain Dealer story about philanthropist Sam Miller’s gift to the memorial. Click here to view the story. If you have questions about how you can help contribute to our campaign, please fill out this form and a member of the Memorial Fund will respond to you as soon as possible. Died from injuries after being buried by falling debris at fire in the New England Block, 45 Broadway. Accident with hose cart. Pinned up against left wheel of steamer while tending fire box. Thrown from salvage wagon at St. Clair & Wood Streets while responding to an alarm.. Thrown from apparatus in a collision with Pearl Street street car while responding to an alarm. Died from effects of consumption contracted in department service. Died from the effects of inhaling sulfuric acid while working at a fire at Powell Tool Company at Winslow and Elm Streets in the Flats. Died from complications from the cold and exposure while working at the Park Theater fire. Died as a result of injuries from fall while training on newly acquired Pompier ladder. Died as a result of abscess caused from a fall from apparatus months earlier..
Died as a result of injuries suffered in a fall from a ladder during a drill. Injured while working at Scott & Foreman Co. fire downtown. Injured while fighting fire in Scott & Foreman Co. block on Frankfort Street that destroyed a total of 10 buildings. 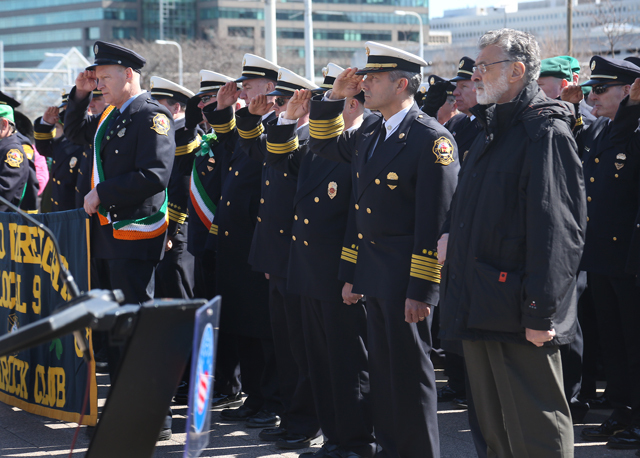 Injured when thrown from ladder truck en route to Box 9 and died as a result of those injuries. Fell from hose cart en route to a fire, taken to a hospital and died of those injuries. Collapsed and died while working at a fire at 314 Starkweather Ave.
Fell down open elevator shaft from fourth floor of Powers Block on Frankfort Street during a fire. Driver, thrown from steamer on Jefferson Street hill en route to alarm at Hemry Box Works, 132 Jefferson Street. Injured by collapse of floor at fire in the Cleveland Machine Screw Works, 325-89 Perkins Avenue. The fire started in Dangler Stove Works next door. Collapsed after returning from fire at Cleveland Storage Co., Scranton and Girard. Trapped under falling walls at fire in factory of Likly & Rockett Case and Hamilton Streets. Tripped in dark in dormitory at Station 35 and fell down pole hole opening. Trapped under collapse of building used as car barns, 1313 Pearl Street. Died at hospital. Trapped under collapse of building used as car barns, 1313 Pearl Street. Killed instantly. Thrown from engine on Dille Road hill en route to fire at Grasselli Chemical Company. Accident between apparatus and street car at East 43 and Central Avenue while responding to shed fire at 2418 E. 61st Street. Six men were injured and Captain Killoran died later of his injuries. Died of injuries suffered when thrown from horse drawn wagon of Engine 27 at Lakeside and West 3rd en route to alarm at West 3rd and the railroad crossing. Accident responding to 2223 West 61 Street (Box 878) . Died of injuries suffered by fall through pole hole at quarters. Died from effects of carbon monoxide poisoning after being overcome at fire in American Tent and Awning Co., 12006 Euclid Ave.
Died of injuries when thrown from truck at E. 79th and Cedar after truck skidded into a pole en route to fire at 7713 Central Ave.
Died as a result of exposure during a fire on March 16th at Century Power Building. Died as a result of injuries suffered in a vehicle accident en route to alarm on E. 77 Street. Died of injuries sustained at fire in Atlas Steel Supply Co., 4401 Trumbull Avenue. 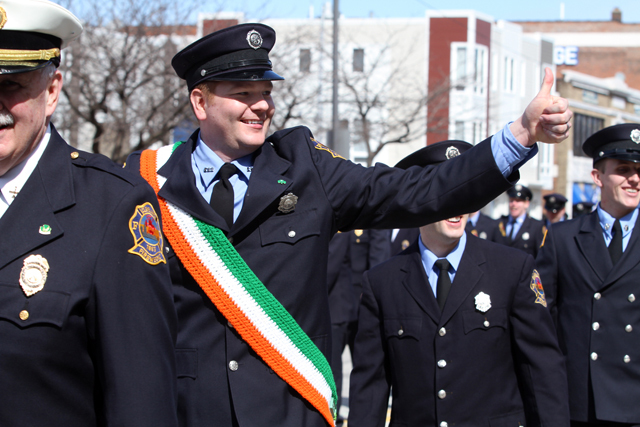 Died from injuries suffered when thrown from apparatus in accident at East 79th Street and Woodland en route to false alarm at 7600 Platt Avenue. Died of effects of chronic coronary thrombosis from fumes inhaled at the Luna Park Fire, Woodland Avenue and Woodland Road . Trapped under collapsing wall in fire at Cleveland Union Stockyards, 3200 West 65th Street. Driver of Engine Co. 34. Died of injuries when thrown from apparatus in vehicle accident. Trapped under falling debris and walls of Franklin Blvd. Methodist Church, West 32nd Street and Franklin Blvd. Trapped under collapsing structure at Russo Wine Co. fire, 2807 Lorain Avenue. Collapsed at fire in Milmar Company, a furniture manufacturer, 5213 Euclid Ave. Collapsed from heart attack and died at small garage fire at 16326 St. Clair Ave.
Died from a heart problem encountered at Saron Packaging Company, 3131 W. 31st. Street. Overcome by smoke, collapsed, and died at Ideal Macaroni Company fire, East 20th Street and Scovill Avenue. Collapsed and died while working at three-story apartment building fire, 1846 East 90th Street. Collapsed and died as a result of a grass fire at W. 48 & Park. Collapsed and died while working at fire in abandoned Penn Square Hotel, 1922 East 55th Street. Died from injuries incurred by falling concrete and section of coping and parapet at fire in 3 story apartment, 1706 East 85th Streets. Trapped under debris at Avis Truck fire, 1204 Carnegie Avenue S.E. Blown into the street in explosion at Avis Truck Fire, 1204 Carnegie Avenue S.E. Died as a result of injuries suffered from flying debris from explosion at Avis Truck Fire, 1204 Carnegie Avenue S.E. Died as a result of extensive burns from explosion at Avis Truck Fire, 1204 Carnegie Avenue S.E. Injured by explosion at Metallurgical, Inc., 9801 Walford Avenue S.W. 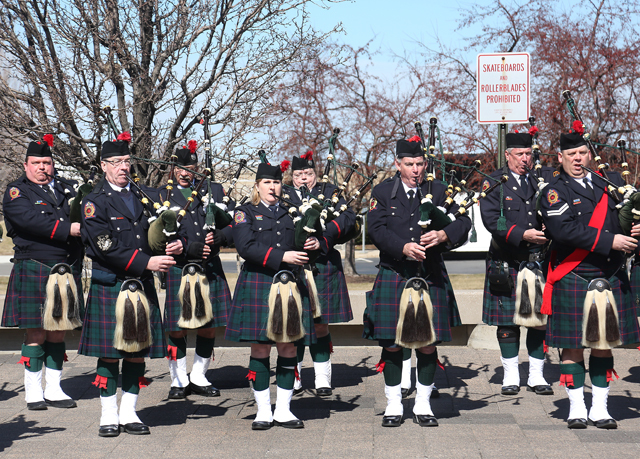 Died from injuries suffered in explosion at Metallurgical, Inc., 9801 Walford Avenue S.W. Died of injuries suffered when falling through floor at fire in dwelling at 12310 Erwin Avenue SW. Collapsed while working at a fire at Smerda Music House, 5800 Broadway. Collapsed at fire in commercial garage, 10200 Meech Avenue, and never regained consciousness. Collapsed and died in station after returning from fire in vacant dwelling, 3720 E. 131 Street. Died from injuries suffered when thrown from ladder truck en route to alarm at S.S.Kresge Company, 2180 Brookpark Road. Collapsed while working at fire in apartment house, 18518 Harvard Ave.
Died from burns and injuries suffered after falling through floor at a fire in a vacant 4 story brick commercial building, 1430 West 9th Street. Collapsed in quarters after returning from a high rise drill. Was in a coma for 16 years as a result of oxygen deprivation following a fall caused by a rotten step while searching the basement of the Barkwell School, 5295 Barkwell. He died from complications of Hepatitis C that he contracted from contact with biological waste while putting out a fire at an apartment building at 1816 West 50th St.
Research and compilation by the Western Reserve Fire Museum at Cleveland. Direct questions to museum (216 664 6312 museum). 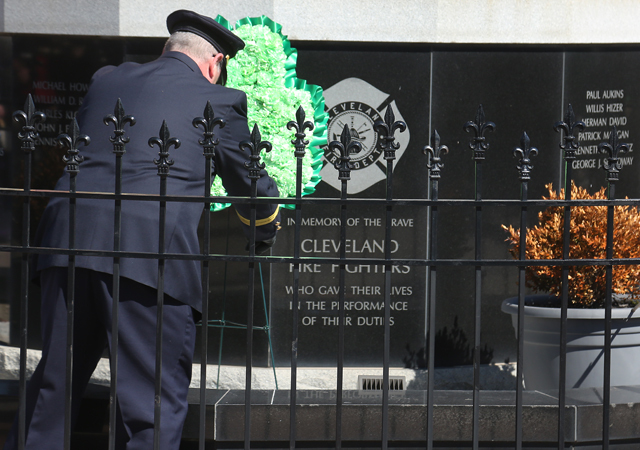 The restoration of the Cleveland Firefighter Memorial figures is complete. 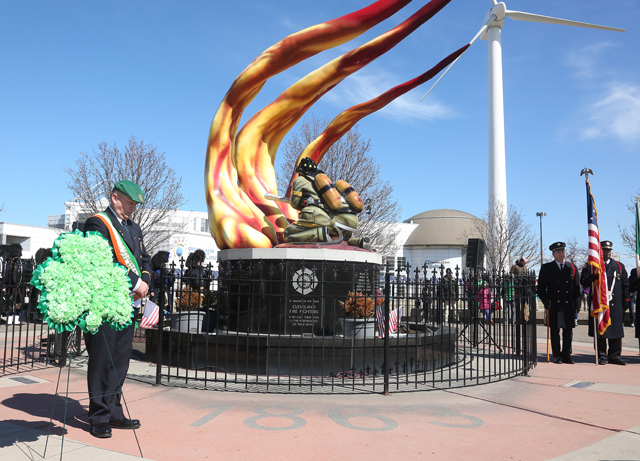 The figures will be reinstalled on Tuesday March 12th. 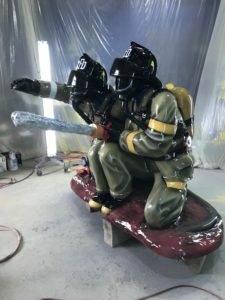 The work was overseen by ICA Art Conservation Group and completed by Thomarios, an Akron based company that specializes in coatings for everything from spacecraft to historic building restoration. 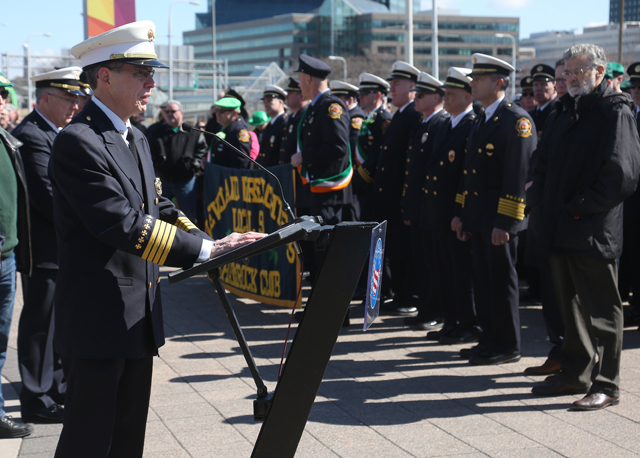 We are excited about the finished work and look forward to many years of continued tribute to those Cleveland Firefighters who have made the supreme sacrifice. 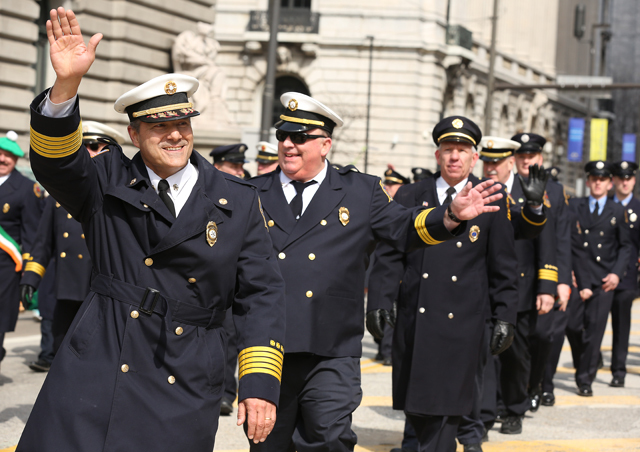 This work would not have been possible without the generous donations of the members of the Cleveland Fire Department, its retirees and the generous donations of the late Mr. Sam Miller. We thank you for your continued support. 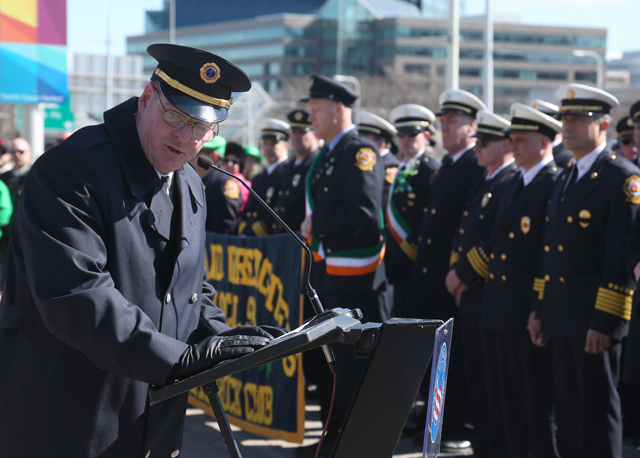 We will conducting a Re-Dedication of the memorial at the beginning of the annual St. Patrick’s Day memorial hosted by the Cleveland Firefighters Shamrock Club. 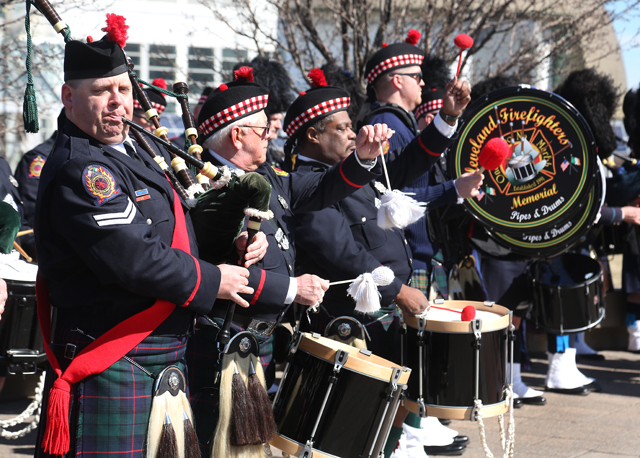 We invite all members, retirees and their families to the event to both honor the fallen firefighters and to view the revitalized memorial. 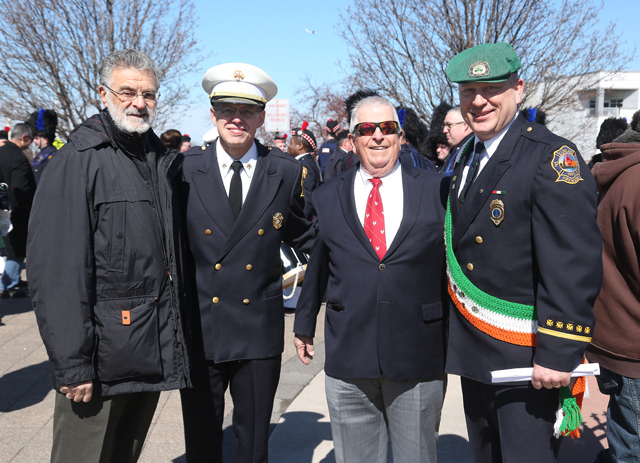 The ceremony begins at 12:30 on Sunday March 17th at the corner of Erieside Ave. and Lerner Way. We still have some additional work to be completed on the memorial site that will occur over the coming months. 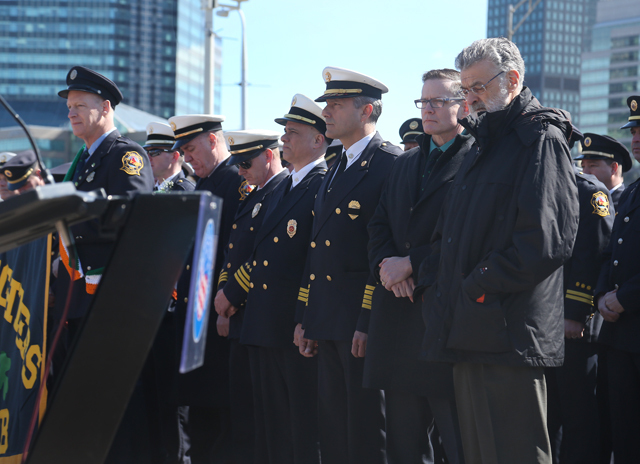 Once completed we look forward to many years of tribute to the memory of those firefighters who made the ultimate sacrifice. Thank you all for your contributions and support which have made this possible. 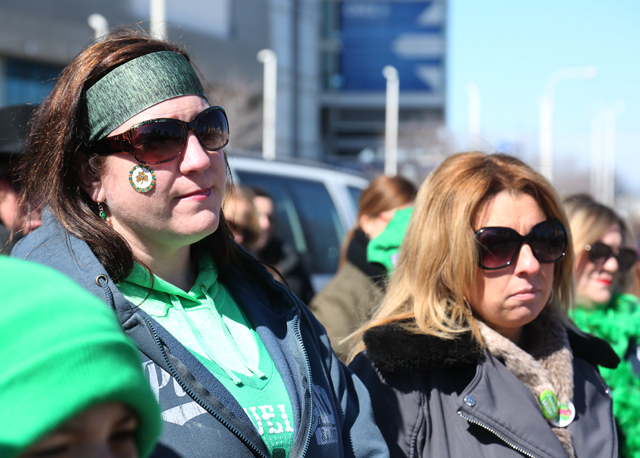 You embody the spirit to “Never Forget”. 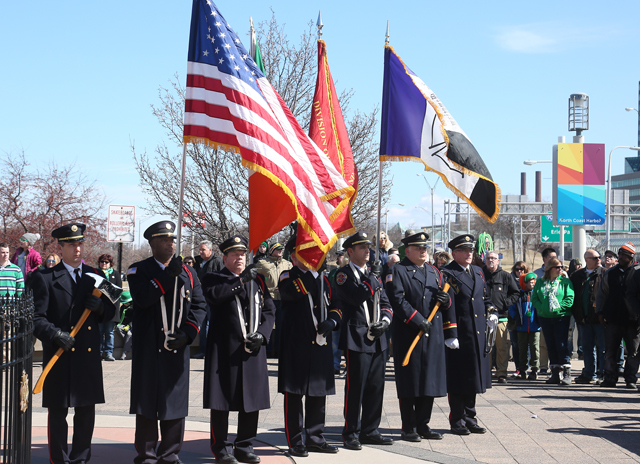 #CLEstpats Cleveland Fire Shamrock Club Memorial and Cleveland Fire Fighters Memorial Rededication.